Having a root canal performed is the best treatment for saving an infected tooth that would otherwise wither away and die on its own. Many patients believe that removing a tooth is the only way to fix a problem. Not only is this untrue, but removing a tooth can end up being more expensive than other procedures because the infection might spread to adjacent teeth. Root canals are very successful and in most cases, last a lifetime. 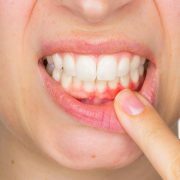 If there are any new infections that form, the tooth can be easily retreated.